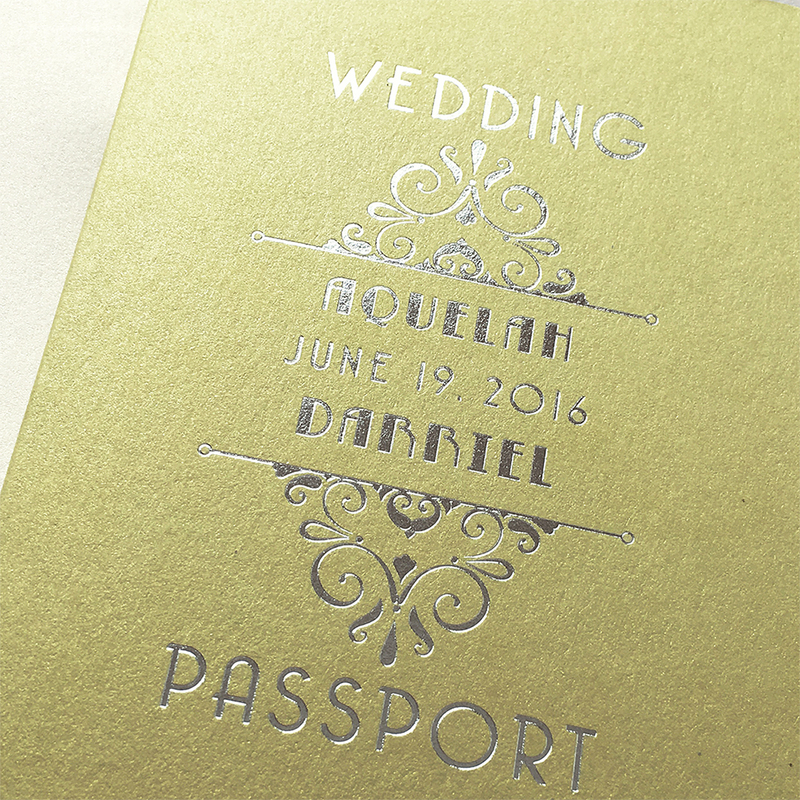 Aquelah and Darriel loved the art deco passport invitation we created for a previous client, and only wanted to change a few things. 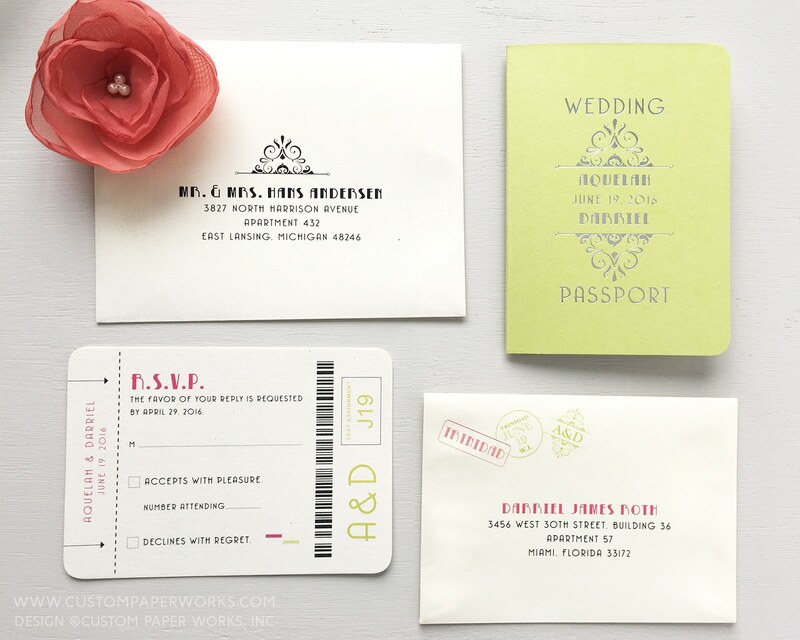 They selected a lime green shimmer cover that fit their color scheme; they wanted to use a passport photo page instead of a map; and they opted to add luxurious silver foil imprinting to the front covers. This is a great example of how changing details as simple as accent colors and cover imprinting can result in a very different look even when using the same overall design. 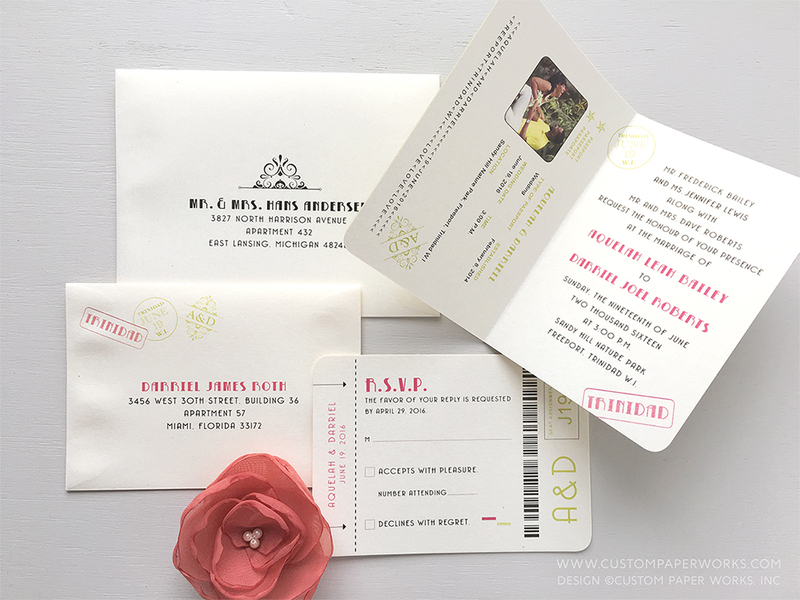 The invitation for their Trinidad, W.I. wedding has a much more brighter, tropical airy look with a subtle nod to art deco design. 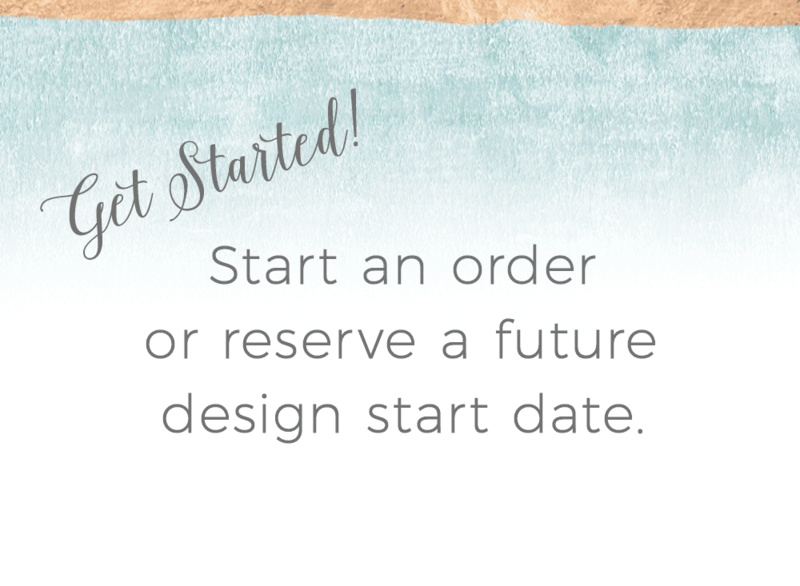 Whether you want a completely unique new design, something just like you saw on our website, or an invitation that combines features from our previous designs with your own imaginative ideas – your wedding invitation suite will have plenty of features that are personal and unique to you and your wedding. A close-up of the cover in the stunning, toothy (slightly textured) pale lime green shimmer with silver foil imprinting – the photo almost shows how beautiful the combination is, but not quite. 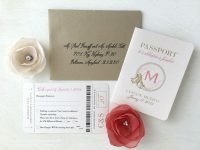 As simple as this style is, it’s one of my favorites because it’s a great example of our signature style – combining a traditional and formal wedding invitation with the fun and unexpectedness of a passport invitation.